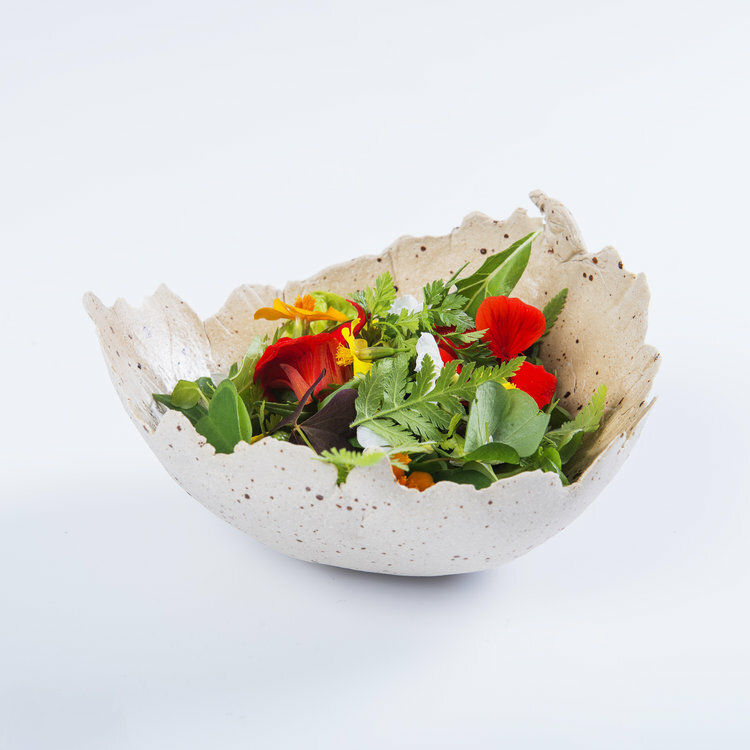 Restaurants from all over the world are now looking to the Norwegian tableware design company Odd Standard, producing tailormade tableware made from all kinds of materials, from juniper twigs and tulle to wood, ceramics and steatite. 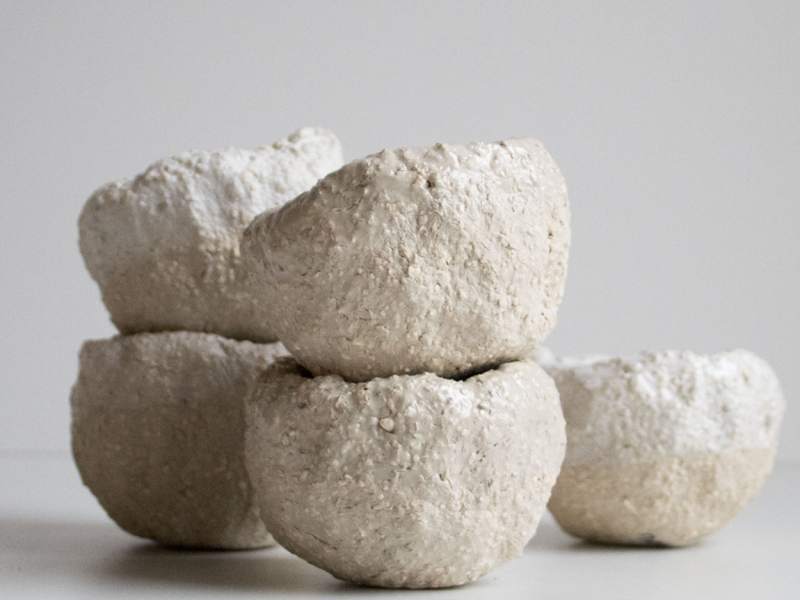 Norwegian design firm Odd Standard’s ambition is to make great products for chefs and restaurants, exploring different materials, old craft techniques and modern technology. 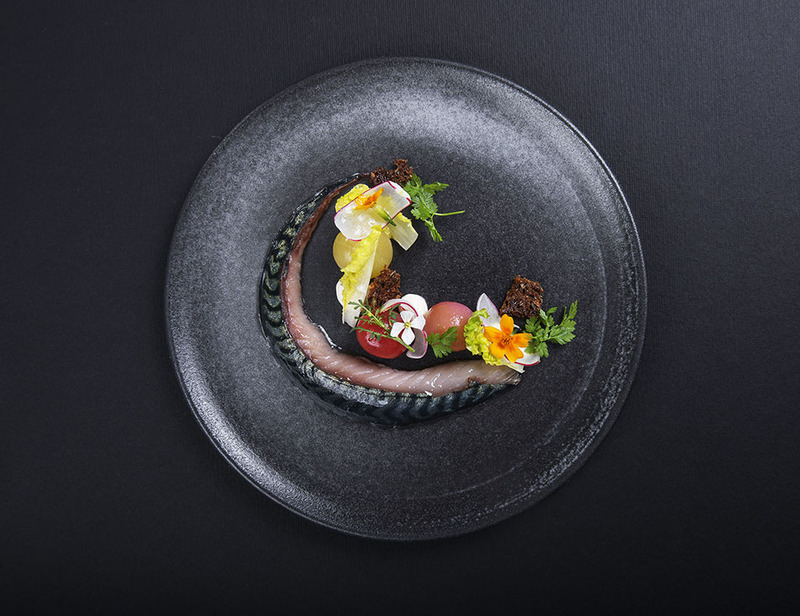 The creators traveled around Scandinavia collecting thoughts and ideas from famous chefs for the perfect tableware. Odd Standard was established in 2014 and is today one of the industry’s most creative hospitality tabletop design firms. 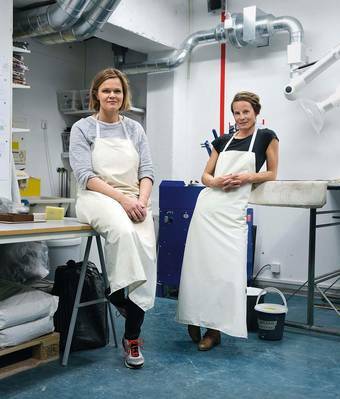 The artist duo behind the company, Tonje Sandberg and Constance Kristiansen are very keen not to be overexposed and are therefore very selective when choosing partners. The two worked together at the Norwegian porcelain manufacturing company Figgjo in Sandnes for many years and found a common fascination for the experience of eating, and how tableware products could enhance this experience. Tonje, who holds a Master of Science in Industrial Design from Trondheim and Buenos Aires, is in charge of sales and marketing as well as finance and administration. She also manages external production of wood, glass and paper products. Constance, holds a Master of Arts and Ceramic design for industrial production and ran her own ceramic workshop in the 90s. She is the product development manager, head of the Odd Standard micro factory, and manages external production of ceramics and stone. 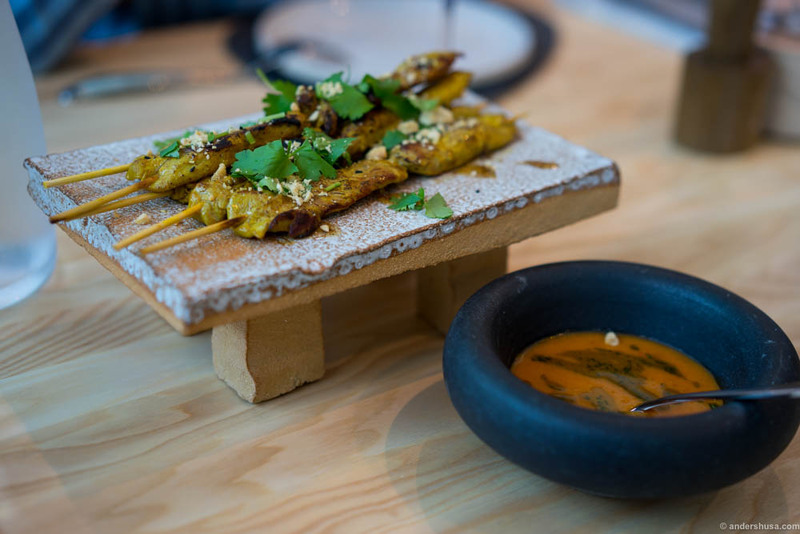 Their goal is always to find the recipe for how they can enhance the experience of eating even better. In the tabletop design world very much looks the same, but the two ladies have definitely taken a road less traveled. 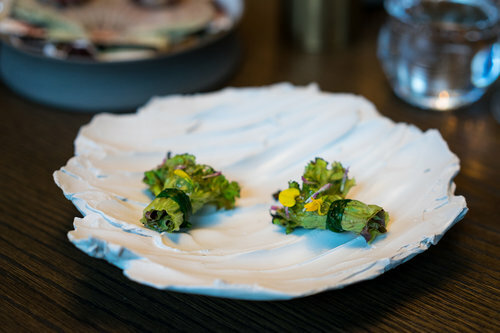 Their design tableware has reached some selected restaurants in Norway and Scandinavia – and even galleries and comic strips. The products are meant to come in limited numbers, from their own workshop and from their portfolio of very skilled collaborative craftspeople. However, Odd standard doesn´t deliver only to restaurants or companies. They also sell to privates who are looking for hand-crafted bowls, plates, cups or whatever you might call their fascinating works. Next articleWhat’s the Secret Behind the Happy Scandinavian Countries?